Use tapping and swiping to crop digital pictures! Easy Cropper offers a quick and easy way to trim your pictures to just the right size. Tap your finger on an image region, and Easy Crop will magnify that area to make precise selection of the cropping area extremely easy. When you’re done, just click the Scissors icon to apply the crop. Easy Cropper is based on a highly acclaimed technology used in MDScan, tiny software that turns your smartphone into a portable scanner. 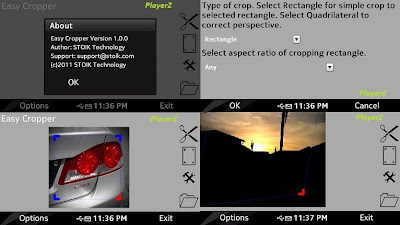 By popular demand, we released the cropping tool used there as a stand-alone app, and made it completely free for your enjoyment. You don’t have to be super-precise to make accurate crops – just try Easy Cropper to see its magic.